In the Jewish communal world, there is an ongoing conversation about how to activate and dazzle uninvolved or unaffiliated Jews. 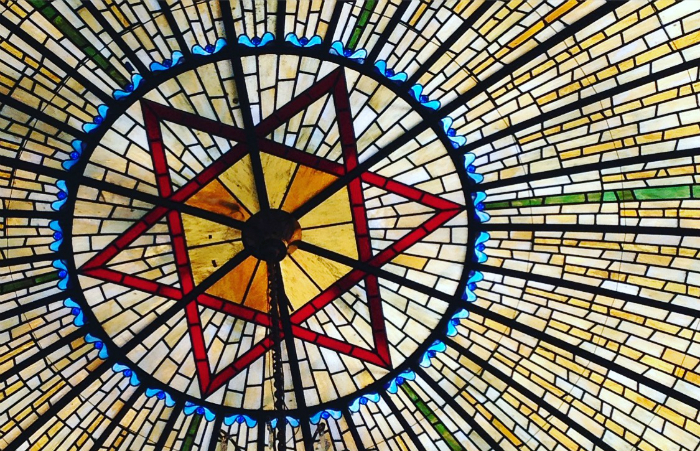 I think the conversation needs to be reframed; I believe that many people want to be involved, but for different reasons aren’t able to access the Jewish ritual and communal space. As a young adult who wanted to become involved in Jewish ritual and communal life, at first that timeframe didn’t work for me. I grew up secular, and waking up early on Saturday mornings to go to services was far from second nature. If I woke up at 10am, I felt like I had already lost my shot: I knew that by the time I got dressed and arrived, services would be over, and I was too embarrassed and intimidated to join everyone in the social hall afterwards if I hadn’t been in the building earlier. It took time and a lot of resolve for me to go regularly to shul – synagogue – on Saturday mornings. I wish I hadn’t needed so much resolve… and my own story makes me wonder who isn’t yet making it through the door. While Friday night services are often lovely, I think the heart of the Shabbat service is on Saturday. We remove the Torah from the ark; we read the weekly Torah portion; we hear a dvar Torah, or sermon; we sing and pray more than we do on Friday nights – it’s a longer service – and after services are over, we stick around, eat, and hang out more. It’s a pretty sweet set up, if you’re into that kind of thing. But it’s all over by noon. We have a great “product”, and for many who are already fully immersed in the rhythm of Jewish ritual and communal life, the timing works. For others, though, the timing creates a high barrier of entry. Whether it’s families with young children, those new to ritual life, interfaith couples, or simply professionals exhausted from the work week – the reality is that Saturday mornings can be a tough sell. If only there were an additional point of access: a service that has a lower barrier of entry, but that still uses the same elements of a Shabbat morning; a service which could be someone’s entire Shabbat experience, an easier stepping stone to increased involvement, or an extra cherry on top. Well, that service exists. It’s called mincha. With some exceptions, if a Jewish community offers a mincha afternoon service on Shabbat, it’s an insider affair. As intimidating as entering a synagogue on a Saturday morning can be for someone new to ritual life, going on a Saturday afternoon is basically inconceivable – in part because synagogues don’t really market the mincha service to newcomers. For those more connected to ritual and communal life, the intimidation factor has less to do with familiarity with the Shabbat afternoon service and much more to do with social norms and sheer numbers: overall attendance is much lower, and while there may be eating and learning and talking between mincha and the subsequent evening service, the whole experience is not nearly as socially abuzz as in the morning. It’s a shame for both sides of the spectrum, because mincha is a great service at a later time. It has a Torah reading, which sets it apart from Friday night services. Depending on the needs of the community, mincha can be followed by learning or eating (or both), which can then lead into the evening service and the havdallah ceremony marking the end of Shabbat. Or mincha can stand alone as a meaningful Shabbat experience. I believe that we have a significant opportunity to approach the mincha afternoon service as an additional entry point to Jewish ritual and communal life. How that approach is implemented will naturally look different from synagogue to synagogue. Let’s make it happen. The ‘Mincha Minyan’ will be a network of Jewish communities committed to increasing access to Jewish ritual and communal life, beginning with regularly creating and promoting robust mincha afternoon services on Shabbat. Do you know of communities already approaching mincha in this way? Do you want to try this out in your own synagogue? Are you interested in finding communities near you that are actively offering a robust mincha service? I began exploring the idea of the ‘Mincha Minyan’ this year as a PresenTense fellow in New York and, initially, I would balk when asked what the target market is for the project. It felt like I was being asked to articulate the target market for something that is as broad as Shabbat, Torah, or socializing. Ultimately, that speaks to the strength of the ritual and communal space: different kinds of people are given the chance to come together – young and old, deeply steeped in the tradition or in a synagogue for the very first time. Each Jewish community can approach the mincha afternoon service on Shabbat according to their needs, whether it’s creating an experience similar to their Shabbat morning, or offering a different kind of service, aimed for a specific profile. Every week, we create a “palace in time”, as Abraham Joshua Heschel famously described it. Every week, there are people who want to enter but have difficulty doing so. Let’s increase access to Shabbat by opening the doors to our own palaces – our synagogues and other Jewish communal spaces – more often, and at more hours. The mincha service is a good place to start.